Hair loss is a problem that starts affecting us as we age. But, bad genes and stress can cause hair loss at a really young age. There are remedies to make your hair grow again, but the loss could also be permanent. No matter how much you care for your hair, it may never grow again. Don’t worry! There is a way to get your hair back. There are medical procedures that can regrow hair even in those bald spots. Hair follicles on our skin create new strands of hair after the old hair falls off. However, these hair follicles could get damaged and stop functioning properly. Once a hair strand falls off, these damaged follicles won’t be able to replace the lost strand. This is what causes permanent hair fall and balding. Hair follicles could get damaged by stress, aging, or hormonal imbalances. Genetic factors may also lead to hair loss. Hair transplantation is the permanent treatment for hair loss and baldness. It’s done by removing hair follicles from parts of the head where there is normal hair growth. This is called the donor area, which is usually the back and side of the head. The extracted hair follicles are then transplanted into the balding areas. After this procedure is completed, the transplanted hair follicles will start growing new hair strands in a few months. These brand new hair follicles won’t suffer from permanent hair fall. There are two different methods of doing a hair transplant. Follicular Unit Transplantation is one hair transplant method. In this procedure, the skin from an area of the head with healthy hair is removed. This strip of skin is then used to collect hair follicles for the transplant. A single strip can contain a large number of follicles. These healthy follicles are inserted into the balding areas of the scalp. These follicles will start to produce new hair in the areas suffering from permanent hair fall. Follicular Unit Extraction is another hair transplant method. In this procedure, the medical professional uses precise instruments to free the follicular unit from the surrounding tissue. This process is repeated multiple times to collect the required amount of hair follicles. These will then be transplanted onto bald areas to regrow lost hair. Follicular Unit Transplantation is not the best hair transplant method. During this procedure, large strips of skin can be removed from many areas of your head. This causes wounds that could take a while to heal. The pain from these wounds could persist for a long time after the transplant. These wounds could also become visible scars. Follicular Unit Extraction for hair transplant is a less invasive procedure. Only the hair follicles are removed and the surrounding skin is left unharmed. This means - no visible marks on your scalp! This also creates better quality grafts for the transplantation process. Kaya’s Expert Hair Transplant Solution is one such procedure that you could opt for. This hair transplant procedure uses Follicular Unit Extraction. It’s performed without making any cuts or incisions. This means your scalp won’t be left with huge wounds or scars. During the procedure, anesthesia is used on the scalp. The doctors can then remove the hair follicles from the donor area without causing you any pain. These healthy hair follicles are then transplanted onto the balding areas. Once the transplantation is over, the experts at Kaya Clinic will inject Platelet-Rich Plasma onto the scalp. This is made from the patient’s own blood. The excess platelet will increase the activity of hair follicles to stimulate new hair growth. The transplanted hair follicles will start growing new hair after 3-4 months. After this initial growth, the hair starts gaining more volume. If over-the-counter medicinal oils and shampoos can’t cure your hair fall, then Follicular Unit Extraction for hair transplant may be your best bet! Losing your hair can be a real pain. If the hair loss is permanent, it can gradually lead to balding. This can be reversed by hair transplant procedures. But it’s not just as simple as that. You must be ready to follow a few rules for a successful transplant. You’ve invested your precious time and money on this procedure, so naturally, you want the best results. This is why the experts want you to follow certain precautions before and after the transplant. Hair grows from hair follicles found on the skin. They’re responsible for growing new strands of hair when the old hair falls off. But the follicles will stop producing new hair if they stop functioning properly. This is what leads to permanent hair loss. Hair follicles could get damaged because of aging, stress, an unhealthy lifestyle, and hormonal imbalances. The genetics of an individual also play a crucial role in determining if and when they will start experiencing permanent hair loss. Hair transplants are done by moving healthy follicles to an area of the scalp that can’t grow hair. These healthy follicles are collected from the patient themselves. Usually, the back and side of the head are immune to permanent hair loss and the healthy follicles are gathered from there. This is called the donor area. After the hair follicles are extracted, grafts will be prepared from them. These will be transplanted onto an area of the scalp that has lost functioning follicles. These new follicles will start growing new hair after a few months. Hair regrowth by hair transplant requires that you take certain precautions. Experts will advise you to follow some simple ground rules before and after they perform the procedure. Before the Hair Transplant procedure, the patient must avoid anti-inflammatory drugs like aspirin. They will thin the blood and increase the risk of bleeding after the procedure. You should stop drinking and smoking prior to the transplant. Try to keep your scalp away from the sun as much as possible. After the procedure, the patient must take certain precautions to make sure they don’t harm the newly transplanted follicles. The doctors will prescribe antibiotics, painkillers, or anti-inflammatory drugs. This is done to remove any pain that you might experience after the procedure. Don’t self medicate or you will end up with adverse effects. Once again, it is advisable to avoid alcohol and nicotine consumption for a while after the procedure. Avoid strenuous activity for a week. You can return to work after 2 - 5 days. Cover your head when you go outdoors. This is because the new transplants are extremely sensitive to sunlight. It’s very important that you don’t touch your scalp, even if it itches! The new hair follicles are very tender and touching them could cause an infection. Now that you know all the rules, you should also know which hair transplant method can give you the best results. Follicular Unit Extraction for hair transplant is the latest method. It’s a minimally invasive procedure that produces better quality grafts. This is why Kaya Clinic performs FUE in it’s Expert Hair Transplant Solution. It’s done without making cuts or incisions. So you won’t have to deal with wounds or scars after the procedure. During the procedure, doctors use anesthesia to extract the hair follicles without causing you any pain. The grafts from these follicles are then transplanted onto the balding areas. After the transplantation, Platelet-Rich Plasma is injected into the scalp. This will help nourish and increase the activity of the newly planted hair follicles. The transplanted grafts start growing new hair after 3-4 months. The hair becomes thick and full after 8 months. If tablets, lotions, and medicinal oils can’t reverse the effects of permanent hair fall, then hair transplant procedures could be your last line of defense. Watching your hair go and not being able to do anything about it can be frustrating. You must have tried a bunch of over-the-counter medications but none of them are working. You keep losing more hair and none of its growing back. Unfortunately, this hair loss could be permanent. Fortunately, there are ways you can regrow your hair. Yes, even in areas that suffer permanent hair loss. 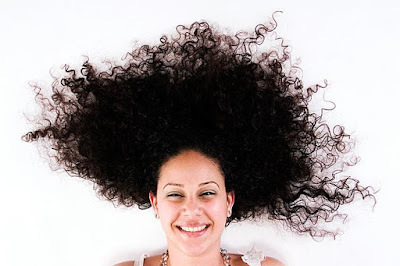 Your hair strands grow from a complex structure of cells called the hair follicles. Usually, a strand of hair lasts for about three months. After three months, the old strand of hair falls off naturally to make way for younger hair. However, hair follicles can’t do this forever. When they get damaged, they’ll stop functioning properly. These damaged hair follicles won’t be able to able to replace lost hair. Sometimes this damage can be permanent. When that happens, areas of your scalp will become bald. Some of the common causes of permanent damage to hair follicles are stress, the effects of aging, an unhealthy lifestyle, and hormonal imbalances. A person’s own genes could also be a deciding factor for permanent hair loss. There are a lot of sprays, pills, and oils to reduce hair loss. But, these medications aren’t a guaranteed cure for every person. If you’re one of those unfortunate people, you don’t have to worry. Hair transplantation could be your solution. It’s a procedure that guarantees permanent hair growth. It’s done by transplanting healthy follicles from areas with normal hair growth. This area of the scalp is called the donor area. The extracted follicles are then carefully positioned onto areas of the scalp suffering from permanent hair loss. These transplanted follicles will mature and give rise to new hair growth. There are two methods of hair transplantation - Follicular Unit Transplantation and Follicular Unit Extraction. Follicular Unit Transplantation involves removing strips of skin from your scalp. Sometimes, multiple strips of skin might have to be harvested from your scalp to get the required amount of hair follicles. The hair follicles are extracted from these strips and transplanted onto the bald areas. This hair transplant method could result in wounds and visible scars. These could take time to heal. This is because large strips of skin are removed from your scalp. Follicular Unit Extraction is another hair transplant method. It’s better than FUT because no major cuts or incisions are made. During the procedure, precise instruments are used to extract the hair follicles directly from the scalp. This provides better quality grafts for the transplantation process. These extracted follicles are then transplanted onto areas of permanent hair loss. This will lead to new hair growth. Kaya’s Expert Hair Transplant Solution also uses Follicular Unit Extraction for hair transplant. It’s minimally invasive and is performed without making cuts or incisions. This means your scalp is safe from scars and major wounds. The scalp is injected with anesthesia to extract the hair follicles without causing pain. Grafts are prepared from these follicles and transplanted onto the bald areas. Kaya Clinic also injects the scalp with Platelet-Rich Plasma. This wonderful concoction will nourish the follicles to accelerate the growth of new hair. After the transplantation is completed, you must be careful not to damage the follicles. The doctor will give you all the advice you need to take care of them. In about three to four months, the transplanted follicles will start producing brand new hair. This hair can still be quite weak and brittle. But you don’t have to worry. After about eight months, the hair will become thick and full. Doctors will always advise people to first try sprays, oils, or pills to cure hair loss. In the unfortunate case that these medications fail, hair regrowth by hair transplant could be your next best option! Men love to have facial hair - beard and mustache, it makes them look manly. But what about hair removal for men on other parts of the body? Razors and shaving creams may not be a long term solution when it comes to removing hair from other parts of the body. Laser hair removal might be your best option! You may have tried waxing and shaving but these are only temporary solutions for hair removal. Laser hair removal treatment is a long-term solution to all those unwanted hair on your body. Talk to an expert to know if laser hair removal treatment is the best option for you. At Kaya, you can consult with an in-house dermatologist to understand what treatment is best suited for your skin. Everybody wants to look presentable and get rid of undesirable hair, be it women or men. This might especially be difficult for men because they tend to have coarser hair than women. Kaya’s Laser Hair Removal Treatment might just be the best option for you! Laser hair removal is an effective and long-lasting method. In this process, the hair follicle is destroyed using a laser light which delays the hair regrowth for a long time. Using a laser on the unwanted hair on your face, legs, and arms give long-lasting results compared to other methods, and that’s why a lot of women opt for laser hair removal. It’s easy, It’s quick, and it’s pain-free! What more do you need? For men, a laser is usually used for body hair rather than facial hair. Hair removal for men is usually done on the chest, back, legs, and arms. Shaving and trimming can be time-consuming. These days, men who maintain a beard use laser technology to shape their beards permanently. Laser eliminates the need to trim your beards and mustaches on a regular basis. A lot of laser treatments available are suitable for people with fair skin and dark hair. But Kaya’s Laser Hair Removal Treatment using the US FDA approved ND-Yag Laser technique, is safe even for dark or tanned skin. The laser targets the darker hair pigment and avoids causing damage to the skin surrounding the hair. If you want to get rid of excessive hair on your body, book an appointment at your nearest Kaya Clinic. A dermatologist will examine your skin and hair type to customize a laser hair removal plan for you. Your laser hair removal treatment at Kaya will be done by a certified and trained technician. This technician will apply a numbing cream and a cooling gel while using the laser. A small area will be treated first to check for skin reactions. After which, a trained professional would determine what settings the laser would provide effective hair removal for you. Then the cooling gel will be applied over the area being treated for the actual hair removal before using the ND-Yag laser. The beam penetrates through the skin and targets the hair follicles. Once the hair follicles are destroyed, it takes a very long time for the body to replace them with new ones. This way, you can stay hair-free for a longer time! Done by experts, this technique is sure to give you desired results. Get freedom from the pain of frequent waxing sessions or the cuts from using a razor! Opt for the laser hair removal treatment at Kaya and achieve close to permanent hair removal after the full treatment. Flaunt a hair-free skin all the time, every time! One skin care product that works immediately upon application and stays on for a long time protecting your skin is the sunscreen. But people tend to skip using this skin care product during winters. Just applying a moisturizer and cold cream is not enough! You’ll need sunscreen too. Many of you wear sunscreen only during the summer. The reality is you need to wear it every day regardless of the weather. Ultraviolet rays that can cause skin cancer are always present. Even though the sun is not as harsh during the winter, it shouldn’t keep you from wearing sunscreen. Let’s get into the technicalities of the harmful UV rays. The sun emits two types of UV rays - the UVA rays and the UVB rays. During winters, the UVB rays are weak. But, the UVA rays present can affect your skin and cause wrinkles and fine lines. Sunscreen with a strong SPF is recommended for protecting your skin against the harmful UV rays throughout the year. It not only prevents tanning in summer but also prevents your skin from forming wrinkles, fine lines, and blemishes. Let’s have a look at a few things you need to keep in mind when buying sunscreen. - Broad Spectrum - This is a must-have in every sunscreen. It means that the product will protect you from both UVA and UVB rays. - Water Resistant - This ensures that the sunscreen will protect your skin from harmful rays even in the water for a specific amount of time. - Active Ingredients - There are two types of sunscreens - physical and chemical sunscreens. Physical sunscreens contain titanium oxide and zinc oxide. These create a physical barrier on your skin that reflects the UV rays. 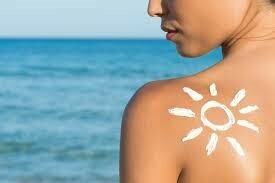 On the other hand, chemical sunscreens contain chemicals that protect the skin by absorbing the UV rays. Both the sunscreens are equally effective. - Sun Protection Factor (SPF) - This is a numerical factor that provides information on the level of protection provided by the sunscreen. For everyday wear, a minimum of SPF 15 or 30 is recommended. It’s important to pick products that suit your skin type and take care of your skin problems. A sunscreen that would be perfect for everyday use is Kaya’s Daily Use Sunscreen. It has an SPF of 30 which is pretty good to protect your skin from harmful rays! It’s a broad spectrum sunscreen that will shield your skin from both UVA and UVB rays. You can pair this Kaya sunscreen with moisturizers, toners, and hydrating lotions to provide your skin with complete protection before you set out for the day! Kaya Clinic has a variety of products for every skin type. Kaya’s Everyday Cleansing Wipes come with aloe vera extract that keeps your skin nourished all day long! It can also be used to remove makeup as these are gentle on the skin. Kaya’s Anytime Moisturizing Cream is perfect for everyday use. Its unique light formulation that contains Shea and Kokum butter will take care of your skin all day long! Kaya’s Intense Hydration Body Lotion is perfect for those dry winters! This lotion comes with Shea and Kokum Butter that will keep your skin hydrated throughout the day. It also gets absorbed instantly into your skin leaving it soft and smooth. The lotion also has a soothing fragrance that will stimulate your senses all day long. Your skin is the most sensitive part of your body. It needs care just like any other body part would. Kaya gives you everything that you need to keep your skin healthy and nourished throughout the year!